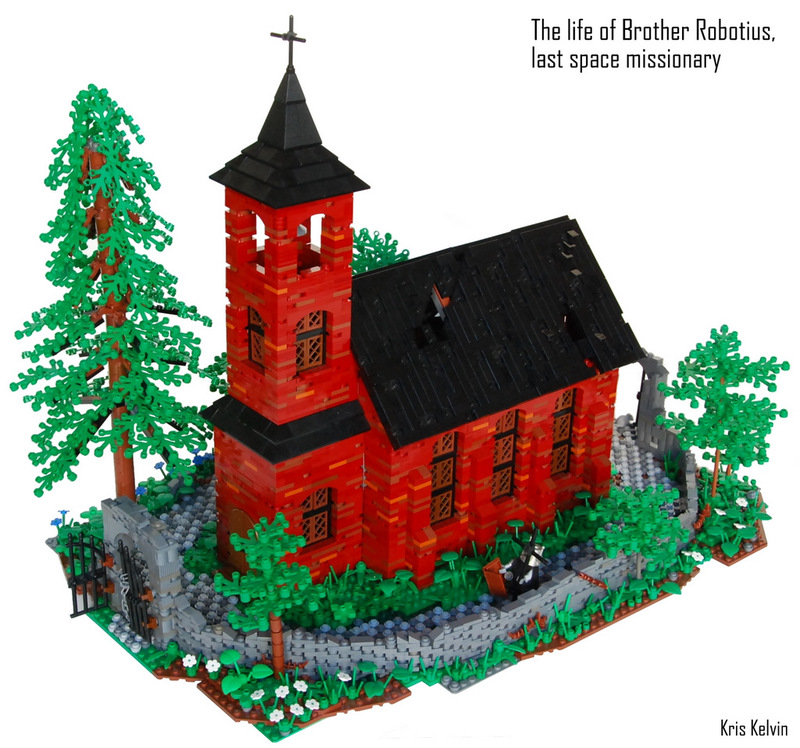 Brick Town Talk: Missionaries From Space - LEGO Town, Architecture, Building Tips, Inspiration Ideas, and more! Breaking up the red is quite a tall order, but Kris Kelvin, as usual, pulls if off with perfection. I like how everything sort of has its place in this model. The church really stands out against the green foliage and the awesome stone wall surrounding it.